The crash in oil prices is forcing energy companies to do some serious penny-pinching. Large companies are scrambling with even greater urgency now that oil prices have collapsed below $37 a barrel for the first time in nearly seven years. This week, Chevron (CVX) and ConocoPhillips (COP) announced plans to slash spending by an additional 25% next year due to depressed oil prices. What that means for the oil industry is that there will be fewer deep-water drilling projects, rigs will be shut down and less oil will be pumped. It will lead to hiring freezes, pay cuts and layoffs of thousands of workers. "We could spend more...and drive higher growth but I don't think that would make sense in this currently oversupplied market," Conoco CEO Ryan Lance told analysts during a conference call. The hope among oil execs is the more frugal budgets will not only shore up the companies' budgets but diminish the surplus oil floating in the world markets. More energy companies, including the likes of ExxonMobil (XOM) and BP (BP), are likely to announce similar cuts in the next few weeks. All told, exploration and production spending tumbled by $250 billion this year compared with 2014, according to Rystad Energy. The firm believes 2016's budgets will be $320 billion below the level of two years ago. That means more job cuts are likely to slam the once-booming energy industry. The mining sector, which includes oil and energy companies, has cut 123,000 U.S. jobs since the end of 2014, according to government stats. That includes mass layoffs by Conoco, Chevron and oil service providers like Schlumberger (SLB), Baker Hughes (BHI) and Halliburton (HAL). The problem is that many U.S. oil projects are unprofitable at current prices so it makes little sense to start new ones. Lance, the Conoco boss said: "We believe prices will eventually move higher -- but we don't know when." Chevron said its $27 billion budget will allow the oil giant to complete and ramp-up projects under construction, but hold off on starting many new ones. While cheap oil prices are great for most Americans, the spending cuts are weighing on the broader economy. Capital expenditures fell 1.6% at S&P 500 companies during the third quarter, according to Capital IQ. If the 35% plunge in energy companies was excluded, the firm said spending would actually be up almost 16%. Energy companies have been forced to slash spending in order to keep rewarding investors with fat dividend payouts despite shrinking cash flows. Conoco said protecting the company's dividend is "our highest priority use of cash." Will frugal spending lift oil prices? More conservative U.S. spending could also help reduce the supply glut, especially since OPEC has been unwilling to cut output. The oil cartel, led by Saudi Arabia, continues to pump oil aggressively in an effort to steal market share back from higher-cost producers in the U.S. and elsewhere. Goldman Sachs thinks U.S. output will decline slightly in 2016 due to lower spending that has caused drilling rig counts to tumble by two-thirds since October 2014. It seems hard to fathom right now, but some fear that energy companies are cutting back too dramatically. After all, prices can't go down forever and demand for oil continues to rise, especially in emerging markets like China and India. 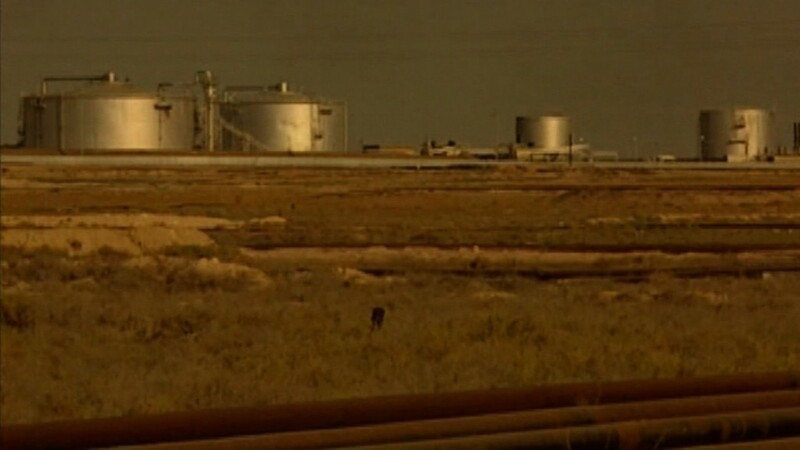 Rystad Energy worries oil companies won't be ready to ramp up production again should a new shortage emerge. "There is a risk that we will face a new era of steep cost inflation which again will drive up oil prices too much and negatively impact the global economy," Jarand Rystad, managing partner at Rystad Energy, wrote in a recent report.